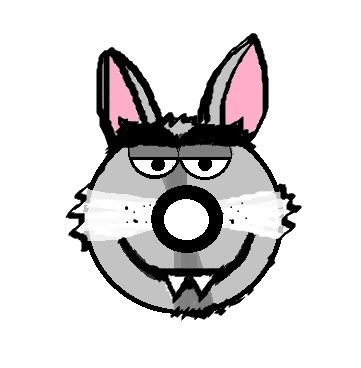 As promised, I’m tickled pink to introduce you to a second Murf-wolf that runs with our pack. I’m also delighted to say he doesn’t look as smarmy as the last Mr. In fact, I’d say this particular pack member looks rather happy-hearted – granted a bit canine. You like? If it pleases you, head on over to facebook and add your own illustration of a Murf-pack member to our “Murf-pack” album (I know – how original). All shapes and sizes welcome. No biters, though.